Rabbi Dovid Schoonmaker came to Shapell’s/Yeshiva Darche Noam as Rosh Yeshiva in Elul, 5777 after 16 years at Yeshiva Aish HaTorah. He has already made a tremendous impact on the Yeshiva and its students, bringing his warmth, energy and excitement to the Beit Midrash. He also teaches weekly at Midreshet Rachel v’Chaya (Shapell's women's seminary). While at Aish HaTorah, he served for six years as Rosh Beit Midrash and gave a daily, methodology based Gemara class to their advanced level students. During his years at Aish, he developed curricula and programs for the Yeshiva, created their current semicha program, mentored faculty and has guided the academic and spiritual growth of hundreds of students. 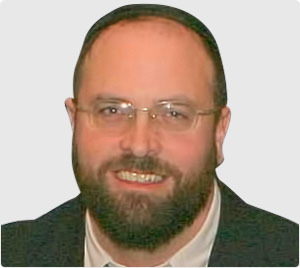 He also served as Mashgiach of the Yeshiva, was Director of Aish’s outreach division and led a team that revamped their famous Discovery seminar. Rabbi Schoonmaker is the author of ???? ??? ?????? which is a “user friendly” version of the classic Sefer haChinuch, ?????? ???? ???? ??? ??? which is a work about joy on Yom Tov and in Mitzvot, and Avodah Thoughts – monthly essays on mussar ideas. An alumus of NCSY (and later a faculty member of their acclaimed Summer Kollel), he learned at Kerem B’Yavneh, Heichal HaTorah, Yeshivas Mir and Birchas Mordechai, and has smicha from HaRav Zalman Nechemia Goldberg, ????”?. Rabbi Schoonmaker can be reached at rds@darchenoam.org.